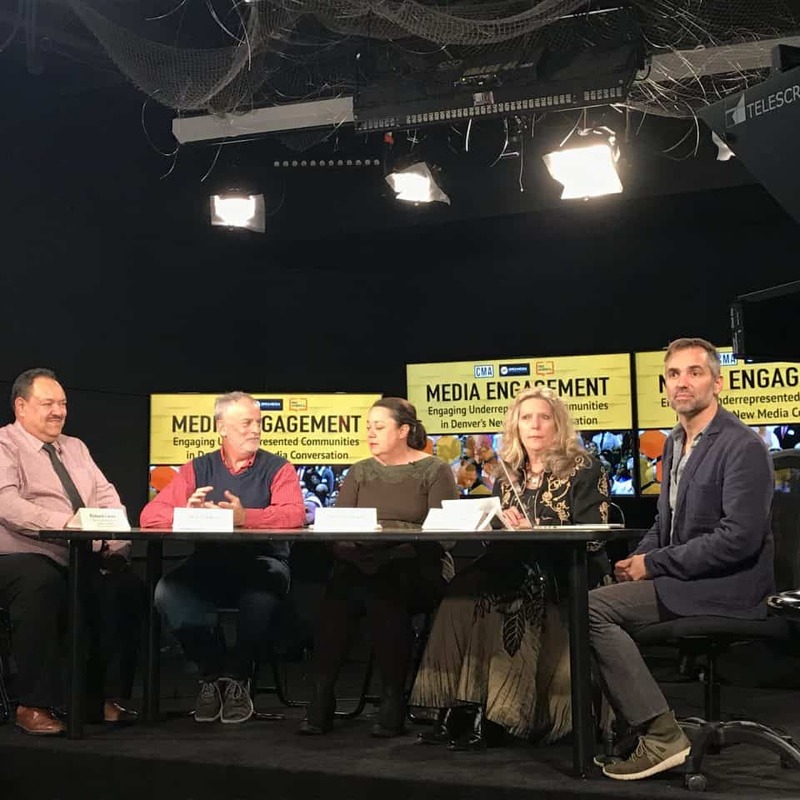 PEN America, the Open Media Foundation, and the Colorado Media Alliance have partnered together for a discussion on how we can increase the visibility of marginalized and underrepresented voices and perspectives in the media. A panel of media professionals, alongside community members, will discuss what our community of media organizations can do to help underrepresented communities have a voice in the future media conversation of Denver, including the challenges facing public access media, and the implications of losing it. If we lose public access, how do marginalized voices still get heard? How can community members cooperate with local media organizations to establish a voice in the public discourse for underserved and underrepresented communities? The panel was followed by a question and answer session, a reception and member showcases, and open music sessions.